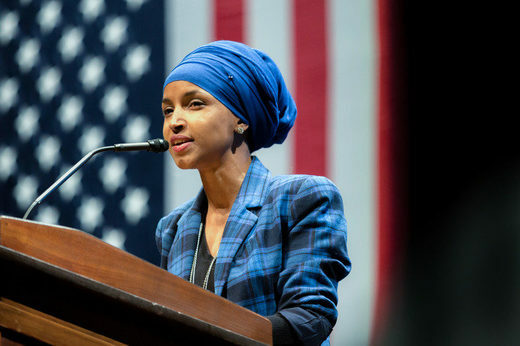 Minnesota Congresswoman Ilhan Omar is under fierce attack from Chelsea Clinton and other Republican and Democratic establishment figures for voicing a fundamental truth: much of Congress is muzzled when it comes to Israel by the powerful lobby group AIPAC. On Sunday, journalist Glenn Greenwald highlighted a news story about how Republican House leader Kevin McCarthy wants to punish Omar, and fellow Congresswoman Rashida Tlaib, for their criticisms of Israel. In a perverse move, McCarthy tried to equate the two women’s support for Palestinian rights with notorious Republican Congressman Steve King’s white supremacism. “It’s stunning how much time US political leaders spend defending a foreign nation even if it means attacking free speech rights of Americans,” Greenwald tweeted. Omar then retweeted Greenwald, adding the comment, “It’s all about the Benjamins baby” – a slang term for $100 bills.